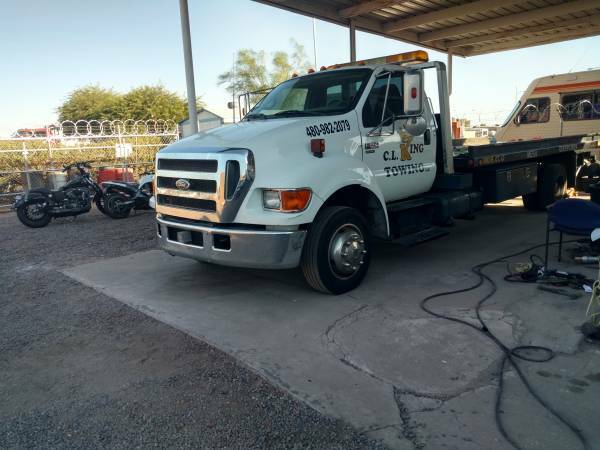 2006 Ford F650 tow truck flatbed roll back. 6.0 automatic, cold a,c. Lots of new parts. Runs and drives excellent. Everyday driver. Includes everything needed to start towing . Ready to work. Can haul 2 cars at once includes all straps,chains and tie downs. $27,500 obo. Call or text .